This replacement part is perfect for keeping your home clean. 4 High efficient vacuum filters fits Neato XV-11 All Floor Robotic Vacuum Cleaner System compared to Neato Filter part # 945-0004 (9450004). Fits Neato Robotics XV-11, XV-12, XV-15, XV-21 series robot vacuums. By changing your filters, you maintain Neato's cleaning performance while reducing infiltration of dust, pollen and other allergens into the air you breathe. Dimension: 2.3 x 4.5 x .25 inches. This is a generic product designed and engineered in the United States by Crucial Vacuum. This is not a Neato OEM product and is not covered under any Neato manufacturer's warranty. Please check your manufacturer's warranty with regard to the use of non-OEM parts. Crucial Vacuum provides no warranty or guarantee with regard to the product or its compatibility with your Neato product. Any use of Crucial Vacuum non-OEM products in your Neato product is done at your own risk. The Neato brand names and logos are the registered trademarks of their respective owners. Any use of the Neato brand name or model designation for this product is made solely for purposes of demonstrating compatibility. I purchased Neato to really mainly clean under the beds where other sweepers do not fit. I love the fact that I program Neato to clean while I do other things or even while I am out. It does an excellent job of cleaning. You can see exactly where it has been. I've been extremely satisfied with Neato ever since I got it. I'm so happy I decided to purchase it. I also have an i-Robot, however, it cannot be programmed. It works on a remote. Neato is so much better and easier as I don't have to be there to start it. I really did my homework on this purchase. The most valuable tool was a video on youtube from some guys testing out quite a few different brands. Most important to me was that this one, I named hime "Antionio" (just cause I liked that Antionio was vacuuming my home while I worked, lol". He will vacuume a BLACK carpet, others won't. Also he has a good grid pattern and always finds his way back to his docking station and others didn't or couldn't. He does my 1 carptet OK but he gets up dander and dirt and dust on my floors that my other machines just can't. My allergies are better because of the fine dust he is able to collect. Yes buy one, you will be happy, you should buy the extra filter as well, I wash mine and rotate them. These filters do wonders and last a long time. Very dependable. After looking around at other sites and being unsure if the product would fit properly I went to Walmart because that's where I purchased the Neato. This is definitely a Neato filter. The price is very good comparatively. Definitely would recommend. Thanks for your recommendation, Jill! These are excellent filters, much better than the “pet and allergy” ones because these can be easily vacuumed clean with a hand vac, even washed in the silverware compartment of a dishwasher. This purchase is a gift for a relative as I already have, and love, the Neato floor vac. You need to be sure to pick up unnecessary obstacles (shoes, toys), but we just turn it on and let it run while we are at work. Surprisingly enough, the dog completely ignores it. It is not as thorough as my Dyson Animal, and sometimes misses corners. But for in-between regular cleanings, it is great. 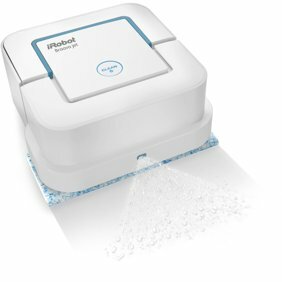 Excellent daily scheduling feature, great vacuum cleaner, can find its way back to recharging dock by itself after cleaning. Only one negative; every few cleanings, it gets stuck under furniture or between chairs and has to be released manually. A must have for you neato! Great maintenance item for your NEATO! Although listed for XV-21 they were for XV-12 however they will work.